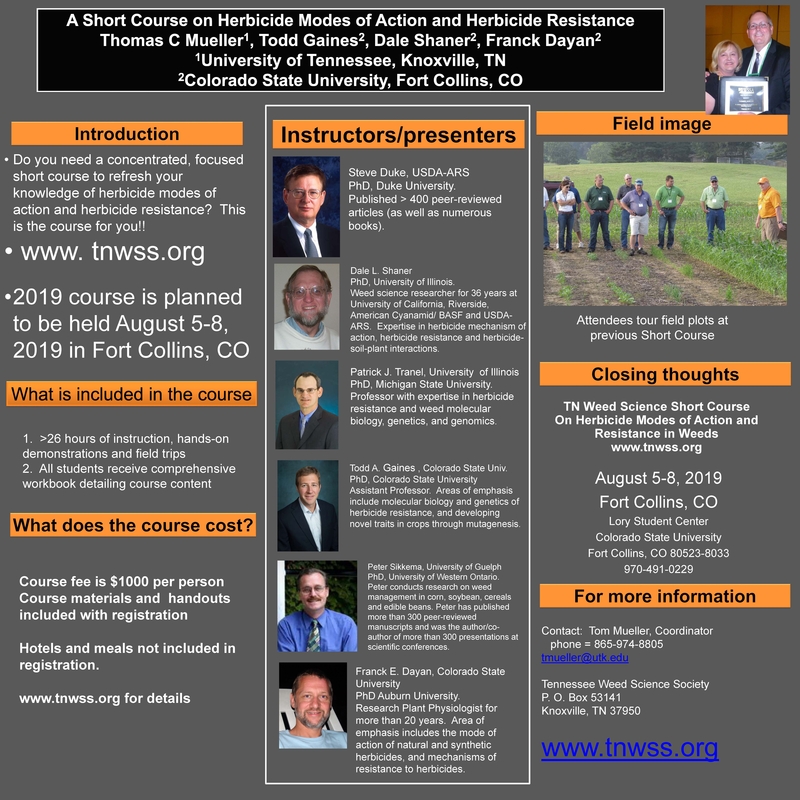 Sharing a plug for a weed science short course at Colorado State University for a colleague. 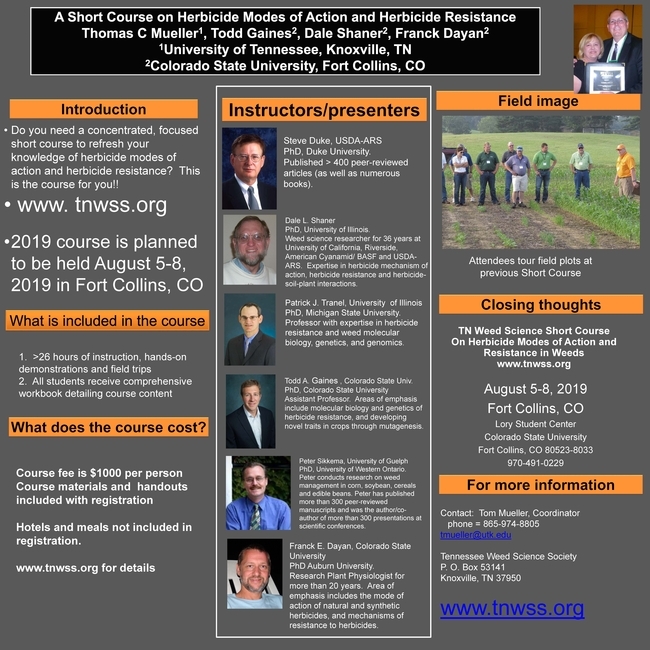 "A Short Course on Herbicide Mode of Action and Herbicide Resistance". This course has been traditionally held at the University of Tennessee Knoxville but will be moved to Fort Collins, Colorado for the 2019 version. See the attached flyer for more info and contact information. Stay tuned also for the official announcement, agenda, and registration information for UC Weed Science School (Aug 20-22, 2019).